Slide adds extra activity & Fun for timeless fun! 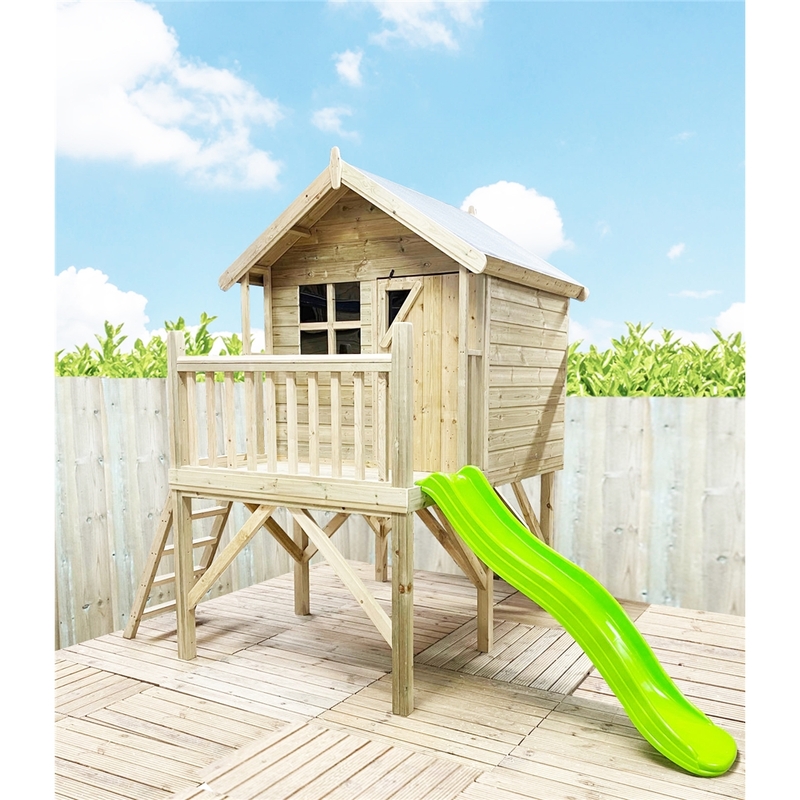 PLEASE NOTE: Image for illustration purposes only, playhouse will be supplied unpainted. Toys and accessories shown are not included with the playhouse.Please be aware that the Tulip playhouse has identical specifications and design to the Poppy playhouse- aside from the flower featured out the door of the Tulip which is not included in the design of the Poppy Playhouse.